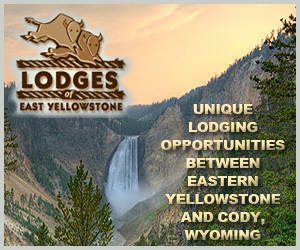 Well-priced motel rooms in Silver Gate, just 10 minutes to the Lamar Valley of Yellowstone. 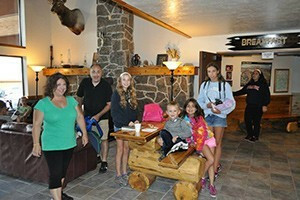 Close to fishing, hiking, wildlife viewing and adjacent to our country store. Our motel rooms are nicer than most upscale hotel rooms to be quite honest. See for yourself on our 360 tour. Enjoy on-site dining & lounge, conference room & heated pool. 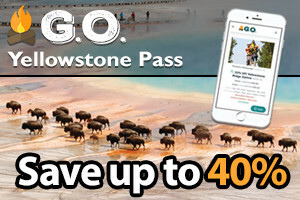 We are proud to offer excellent value accommodations at lower prices, helping ensure you have a great time while visiting Yellowstone Park and the area's natural beauty. Providing HOTEL quality value at motel-level rates. Custom-furnished rooms and kitchenette suites, indoor pool, breakfast, and close to dining, shops & activities. Offering more value than a regular motel, luxuriate in our custom-made beds, evening snacks, beer & wine, workout room, steam room, pool, Hot Tub, and downtown dining. Spacious rooms at budget rates - 32" HDTVs, Breakfast, in-room coffee, microwave & fridge, guest laundry & plenty of trailer parking. Multi-bed rooms for families. Open mid May to mid October. We offer clean, spacious, quiet rooms of various configuration. Family suites and kitchenettes available. Enjoy the beauty of Jackson Hole with us. We are conveniently located near shopping, fine restaurants, night life and much more. All rooms are non-smoking, free wifi, microwave, coffee maker and fridge, walk to shopping, rec center and bank. 2 - 4 bedroom suites available with full kitchen. Right across from the National Elk Refuge and near Grand Teton Park this is the perfect friendly place to hang your hat while you are in Jackson Hole. Comfortable, clean and convenient - we offer a unique, cozy bandb charm along with all the amenities and conveniences you desire. 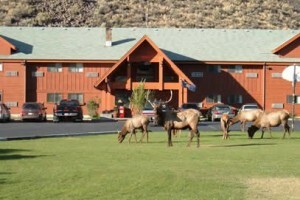 Great motel rooms and RV spots with laundry facilities, horse boarding and showers. Pet and smoking rooms available in motel only. 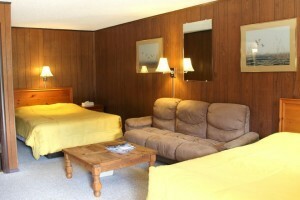 Stay comfortably & affordably in our motel rooms, cabin suites or RV park. Bathhouse & laundry on site and kids under 12 stay FREE! 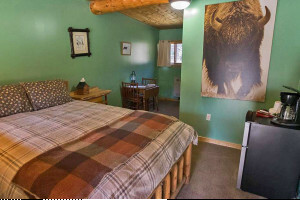 From affordable, comfortable log cabin-style rooms, to luxury lodgepole suites, we are Jackson best value for quality accommodations. Just 2 blocks north of the Jackson town square, the Kudar offers a comfortable and affordable lodging option. 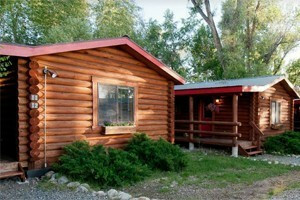 Comfortable cabins on the outskirts of Yellowstone and Grand Teton National Parks. Recently remodeled and right in the heart of Jackson. 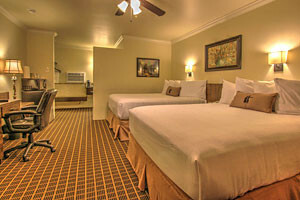 The 49er Motel is within easy walking distance to the Jackson town square and many restaurants. 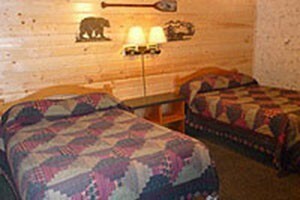 3 blocks from the Jackson Hole Town Square, the Rawhide Motel offers 23 beautiful and economical rooms featuring handmade lodge pole pine furniture. 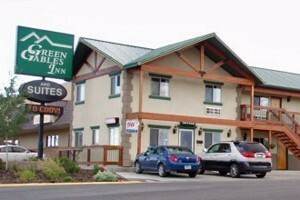 Comfortable rooms, cozy cabins and friendly staff - just across from the Madison River in Ennis. A warm and inviting property just blocks from the Stillwater River, offering fishing and floating. Rooms are reasonable: $84-102 year round. 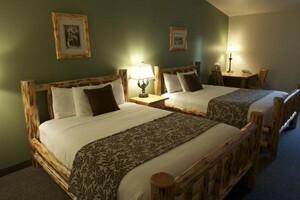 Affordable accommodations in the heart of Jackson Hole. A popular motel in Alpine, Wyoming, just 45 min south of Jackson. Our rooms are available from May through September. We have many configurations to fit your needs. All include fridge, coffee pot, internet and TV. Whether you need a simple standard room, kitchenette unit or 2-room family unit, our log-cabin style rooms are priced right and well-maintained. Prices starting at $99/night. Locally owned and operated. Great budget option for your vacation.